City Council President Anna Lopez Brosche awarded task force members with the city's Melody Starr Bishop Community Service Award which honors the city's "unsung heroes." 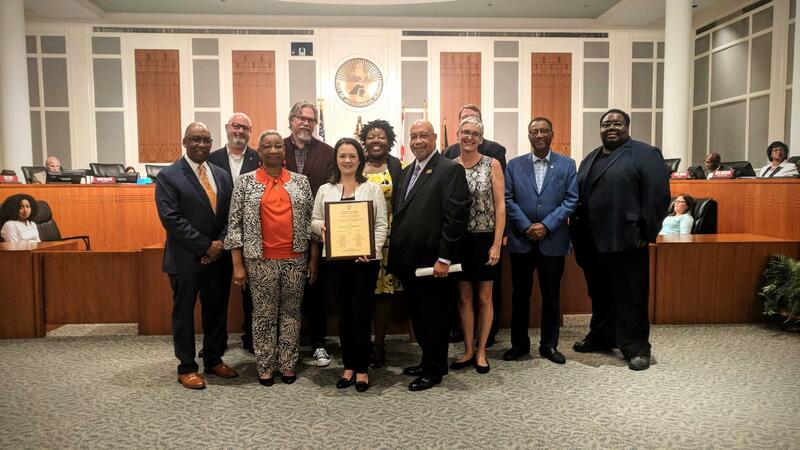 After more than five months of discussion, deliberation and research, the 27-member Jacksonville Task Force on Civil Rights History handed in its 30-page report detailing the city’s long and storied history of black pain and triumph. 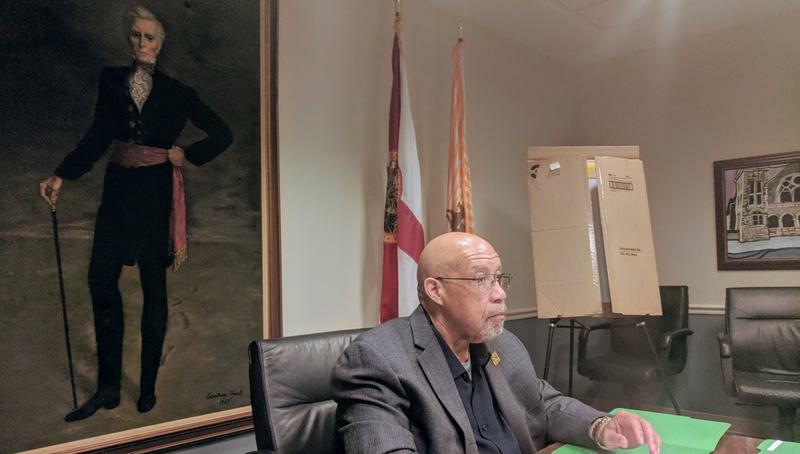 “It’s up to the city now,” Jacksonville’s own Civil Rights Movement icon Rodney Hurst told City Council members Tuesday evening. Hurst is a historian and author, who in the 1960s, helped lead successful lunch counter boycotts in downtown. Hurst’s mission on the task force was to ensure Jacksonville celebrated its wins and reckoned with its past. As the co-chair of the task force’s historical timeline subcommittee, he and co-chair Tim Gilmore meticulously collated a chronology dating back to 1838 with the founding of Bethel Baptist Institutional Church. The timeline will soon be posted to a City of Jacksonville website and be archived in the library system, physically and digitally. Hurst said that is the task force’s greatest legacy and most enduring accomplishment. The timeline will be used to educate the younger generation. But it wasn’t the only big win for the body called together by outgoing City Council President Anna Lopez Brosche. Task force members paved the way for every Florida city, not just Jacksonville, to be included on the National Civil Rights Trail. At the task force’s last meeting, Visit Florida CEO Ken Lawson announced the state would pay the necessary $15,000 annual subscription fees. “I met with leaders from Travel South, explained our interest and made a commitment that Visit Florida would like to participate and assist our various locations to apply,” Lawson said. Travel South is the consortium of southern tourism bureaus that runs the trail and authenticates its sites. In order to apply for inclusion, states must be paying members. In addition, cities may be required to pay as much as $3,500 per site application. 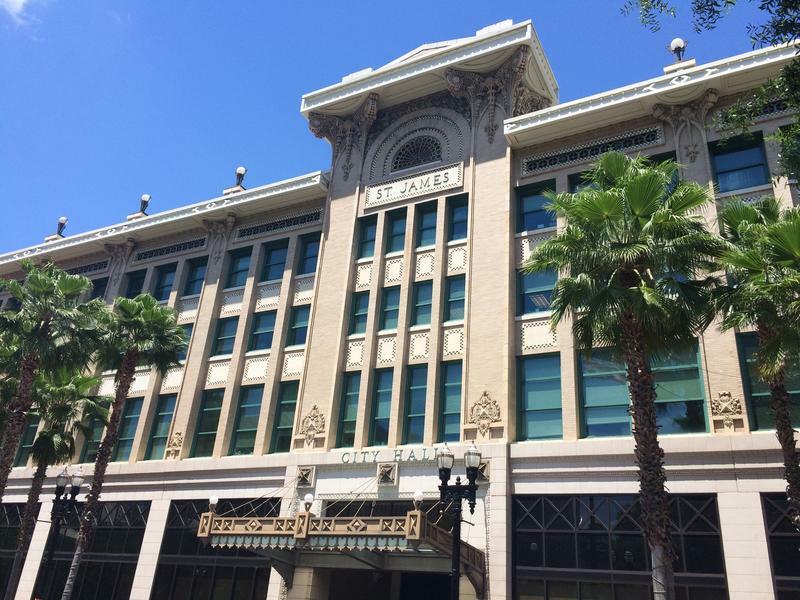 The task force is recommending Visit Jacksonville cobbles together the cash from Duval County’s Tourism Development Council. The fact that Florida, and thus Jacksonville, was excluded because of a lack of membership in a private group would have gone unnoticed if it weren’t for the task force’s work or The Florida Times Union editorial that spurred Brosche to create it. 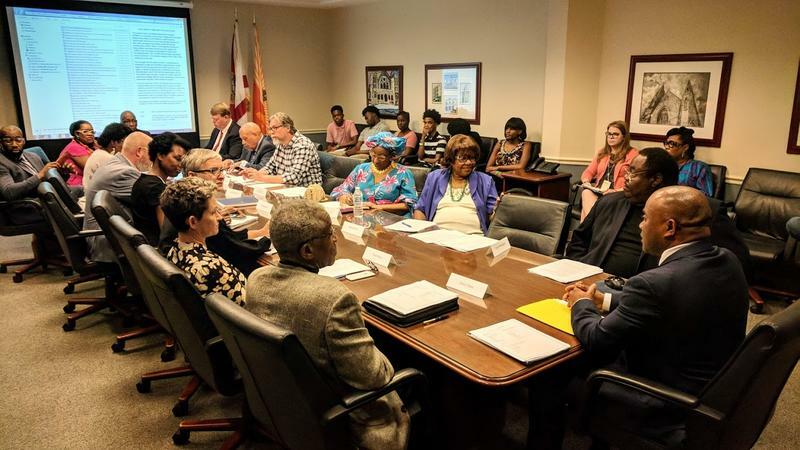 In addition to the timeline and the opportunity to be included in the national trail, the task force has given the city a lot to think about — around 10 concrete recommendations, including the creation of a LaVilla Civil Rights Historic District and founding of a Jacksonville Civil Rights Museum. The latter is of particular importance to Hurst as the timeline has been finished. “I do know that I have been personally contacted by a number of folk[s] in Jacksonville both black and white who would love to see the Civil Rights Museum. So, I suspect before too much longer you will see a group pulled together whose priority will be to develop a civil rights museum,” Hurst said. The task force expires with the tenure of Brosche. Incoming Council President Aaron Bowman told WJCT earlier this month he’s supportive of a museum and would be open to allowing the task force to continue if it narrowed membership and focus. Bowman believes 27 members is too large and that a permanent task force would be a drain on city resources. Hurst was perhaps the most vocal proponent for permanency. Brosche as of late has flirted with the idea of using her council member powers for calling regular noticed meetings to keep the task force’s work unofficially going and Hurst supports that effort. Many task force members have worried that the report, no matter the number of successes contained therein, would be filed away in city memory and left to gather the dust of irrelevance. 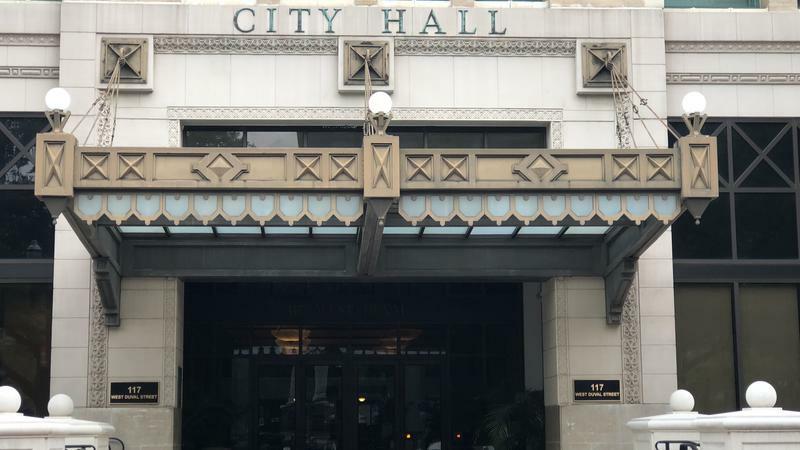 Incoming Jacksonville City Council President Aaron Bowman is “amenable” to allowing the city’s Task Force on Civil Rights history to continue its work through his tenure. But not without narrowing its scope and focusing its charge.